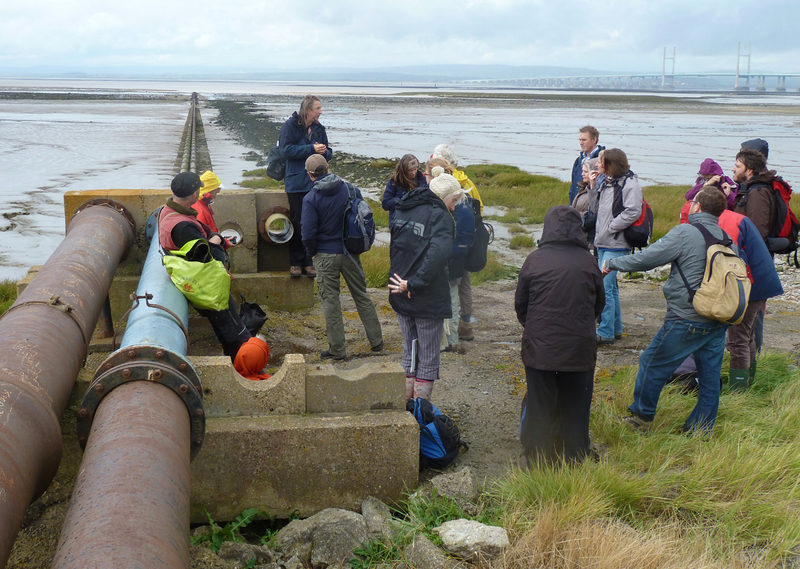 5 Dutch artist and academics and 18 UK base artists, academics and policy professional took part in a 2 day workshop in Bristol and on location (Severn Beach) as part of a NWO (Dutch Research Council ) and Arts and Humanities Research Council (UK) funded research exchange programme. The programme is entitled ‘“Between the Tides”. Comparative arts and humanities approaches to living with(in) intertidal landscapes in UK & the Netherlands. Learning from those who live and work with complexity, change and fragility’: The UK base research leader is Dr Owain Jones, Reader in cultural geography: landscape, place and environment at the Countryside & Community Research Institute . The co-organiser is Dr. Bettina van Hoven, Department of Cultural Geography, Faculty of Spatial Sciences, University of Groningen . The project is in effect ‘twinning’ the Severn Estuary with The Wadden Sea, another remarkable tidal area which lies on the Dutch, German and Danish North Sea coastal margins. These area share tidal flows and rhythms which shape them so profoundly. But they also differ markedly in the ways the landscapes are formed, used, valued and protected. The Wadden Sea is a World Heritage Site. The workshop consisted of talks, readings and short performances from UK artist and scholars who work with the Severn Estuary and other coastal areas, and from their Dutch counterparts who work with their own tidal/coastal areas. Talks were given (in Shirley’s Cafe Severn Beach!!) by Gwilym Owen of the Severn Estuary Partnership and Graham Quarrier of the Environment Agency. Next year a return visit to the Wadden Sea will take place. Workshop 1. Severn Beach. Low tide.